personal property Archives - Yetter Insurance Agency, Inc.
What is Personal Property Coverage and How Does It Work? Personal property coverage is the part of a home insurance policy that covers items like furniture, antiques, jewelry, clothes, and electronics. Every home insurance policy includes some personal property coverage, but depending on the value of your belongings, it may not be enough. 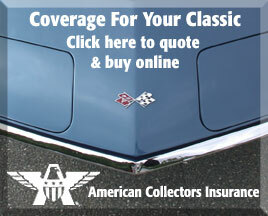 That’s why insurance carriers offer several types of additional coverage for personal property. The first thing you should do in determining whether you need additional personal property coverage is to conduct a home inventory of your valuables. This can be done by starting with the most recent, expensive purchases and working backward, or by taking inventory by room. When taking an inventory of your belongings, include the approximate date purchased, the purchase price, and the estimated current value of the possessions in your inventory. Keep receipts of all major purchases with your inventory, as well as photographs of the belongings listed. These inventories can be written on lined paper, pre-formatted files like this one provided by Foremost Insurance, or recorded into personal inventory apps, like Know Your Stuff, a free app from the Insurance Information Institute for iPhone and Android. An inventory of your personal items makes it easier to see the total value of your property, indicating whether additional coverage is needed, or if the current coverage offered with your home insurance policy is sufficient. Here is a useful video with tips on taking a home inventory and how it can benefit you in the event of a natural disaster. If you need more coverage, it’s important to know the different types of coverage that are available. Belongings are often covered at their fair market value. This equals the replacement cost minus depreciation. Actual cash value coverage pays out claims for their depreciated value (what you could hope to get at a yard sale or online auction for your property). With replacement cost coverage, the insured property is covered for the cost to repurchase the item at the time a claim is filed. This means that the item is actually replaced in full, rather than paid out in a depreciated cash value. Scheduled personal property is an optional additional coverage that you can add to your home insurance policy to cover high-value items. Most personal property coverage has limits for individual items of around $1,000. If you collect fine art, jewelry, or other items that can be worth well over $1,000, scheduled personal property can help to cover your collections or prized family heirlooms. If you’re interested in adding additional coverage to your homeowners’ insurance policy, or have questions pertaining to your current policy and coverage, please contact your Yetter Insurance agent by calling (570) 296-8329, or visit http://yetterins.com/. Yetter Insurance Agency is a family-owned business, located in Milford, PA, that offers a variety of homeowners’ insurance options for Pennsylvania and New York residents. Yetter has been a leading insurance agency in Pike County, PA since 1972. We offer plans from top-rated carriers that fit every need and budget. If you’re interested in expanding or changing your coverage, please contact one of our skilled agents today. For more information, please visit http://yetterins.com.